My daughter Steffi wanted Cookies and Cream for her birthday cake, but I was late getting started and needed to make it fast. So, I used my favorite rich white birthday cake mix recipe and added in some Oreos. What a delicious and creamy cake! So easy and yet everyone thought it must have taken a lot of time. I was worried it would stick to the pan, but it came out like a breeze. We split the layer, put ice cream in the middle, then frosted with a rich buttercream and crushed Oreos on top. With baking and cooling time the whole cake was done in under an hour. So easy and good! 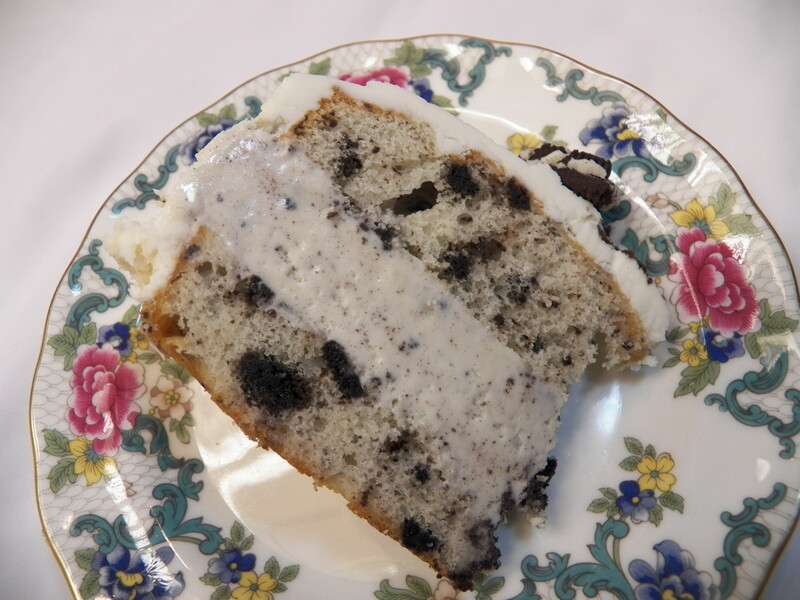 You can make Easy Cookies and Cream Cake as an ice cream cake, or a regular layer cake. I include the recipe and instructions for both. Preheat oven to 350 degrees. Spray two 8 inch pans with Cooking Spray, or put oil on the bottom of pans. Put cake mix, eggs, milk and softened butter or margarine in a bowl. Mix with mixer on low until blended. Mix on High for 3 minutes. Put 10-12 Oreo cookies in a Zip-Lok bag and crush them using a rolling pin. Put cookie crumbs into the cake batter and fold in lightly until blended. Divide cake mix between the two pans equally and smooth out the tops. Bake at 350 for 25-30 minutes, or until top springs up when lightly touched. Cool cakes for about 15-20 minutes. While cakes are baking, make the optional ice cream layer by using a pan the same size and shape as the cake layers. Place clear plastic wrap on the bottom of the pan and press it into all corners. Take spoonfuls of ice cream and press them into the pan using the back of the spoon (or your hands--cover them with gloves or a plastic bag). Press the ice cream in firmly until it is up to the top of the pan. Put another clear wrap on top and freeze until ready to put cake together. 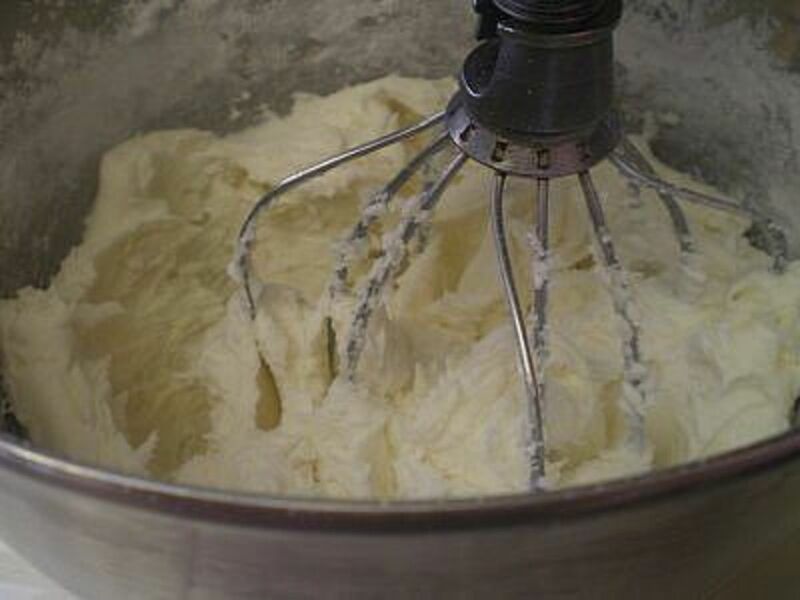 Make Buttercream frosting by measuring the powdered sugar in a bowl and adding the butter and cream. Mix until blended. Add more cream if the mixture is too dry. Mix thoroughly for 1-2 minutes. Add Karo syrup and mix 1 more minute until light and fluffy (you can leave out the Karo syrup if you want, but it does make the icing easier to spread on the cake). 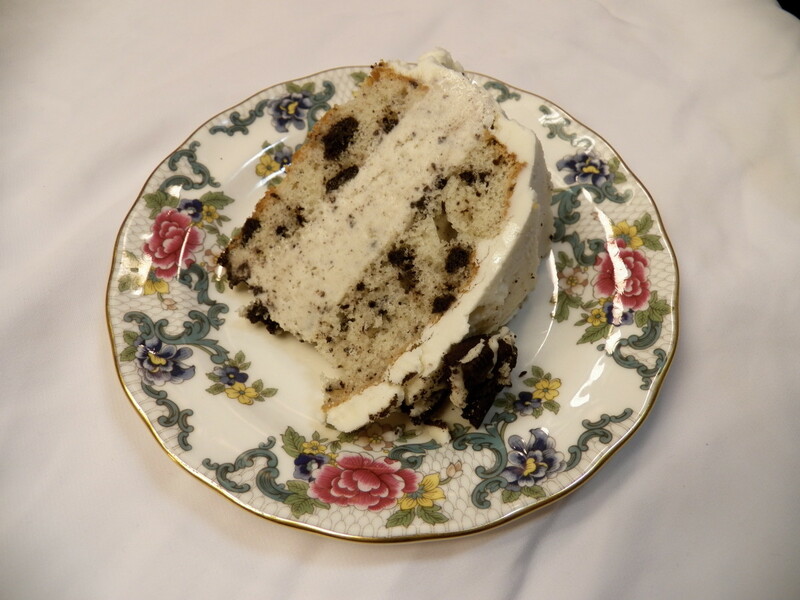 Assemble Cookies and Cream Ice Cream Cake: Note: You can make a small cake by just using one layer of the cake split in two (as I do in the cake in the photos) or a large cake by using both full layers. 1. Put one layer bottom side down on a plate (or bottom side of half layer). 2. Take out the ice cream layer, unwrap and put on top of the cake. 3. Put top layer of cake on the ice cream layer, rounded side up. 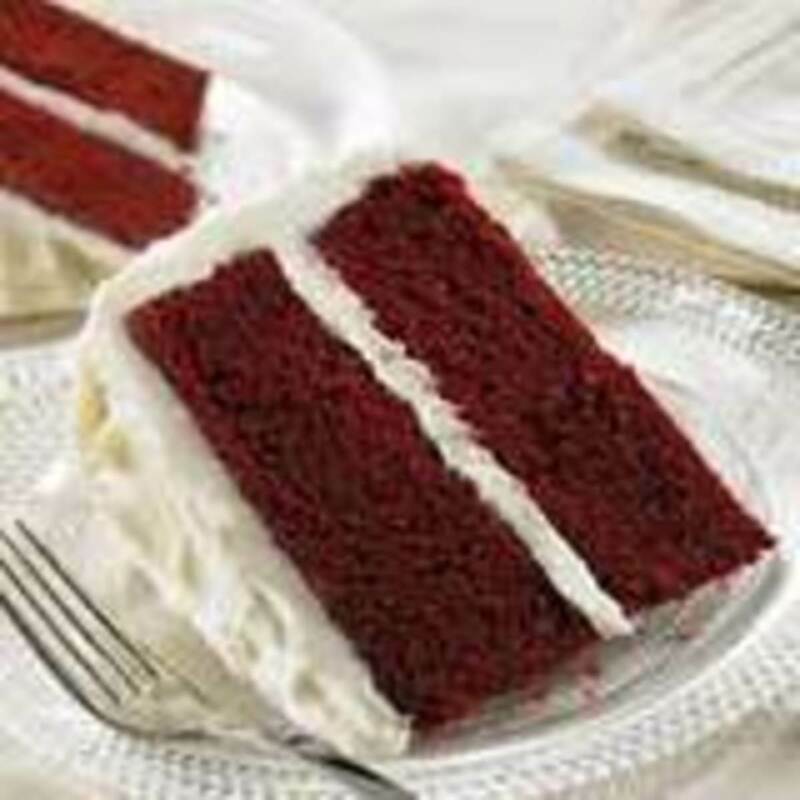 Frosting Cake: Working quickly, put frosting on the sides of the cake moving from the bottom up. Use plenty of frosting to cover the ice cream. Frost the top last. Add some crushed Oreos in the middle to decorate, or use Oreos around the sides and sticking out of the top. Storing cake: Ice cream cakes must be stored in the freezer until just before serving. After frosting and decorating, put the cake back in the freezer until the frosting is frozen. If you are not going to eat the cake that day, wrap it in foil to keep it from forming ice crystals. Sometimes a very cold freezer can make the cake very hard to cut, so if you are storing overnight or longer, you might want to take if out for 10-15 minutes or so right before serving. You can bake your cake in advance and freeze the layers. This makes a very moist cake every time. The cake will shrink a bit when it is frozen, so you may need to use a slightly smaller pan for the ice cream layer. Assemble the cake, frost it and stick it back in the freezer unwrapped until the icing is frozen. Then you can wrap well with clear wrap and aluminum foil and the cake will last up to a month or longer. This is a great way to get one part of the party done ahead of time! 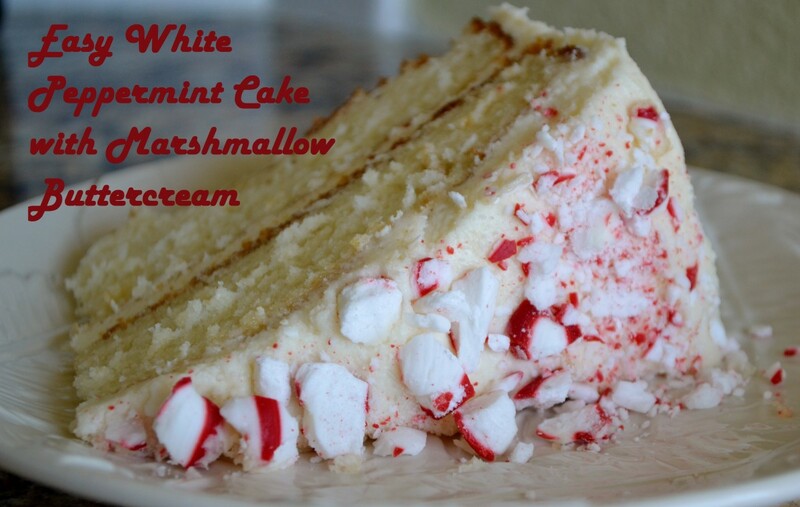 Save a step by using Cool Whip or canned frosting. Use a chocolate cake mix. Use peanut butter Oreos and Peanut butter frosting (1/2 cup peanut butter and 1/2 cup margarine in frosting). Use chocolate chip cookies instead of Oreos. You can decorate with chocolate chips all over the cake. Apparently, there are a lot of people who thought about combining cookies with ice cream in the late 1970s. Several ice cream makers vie to claim the idea, including our family's favorite ice cream, Blue Bell (our family's favorite brand!) trademarked the name "Cookies and Cream" in 1978, and first produced the flavor in 1980. What no one disputes is that Cookies and Cream quickly became a best seller and ranked among the top five flavors by the early 1980s. 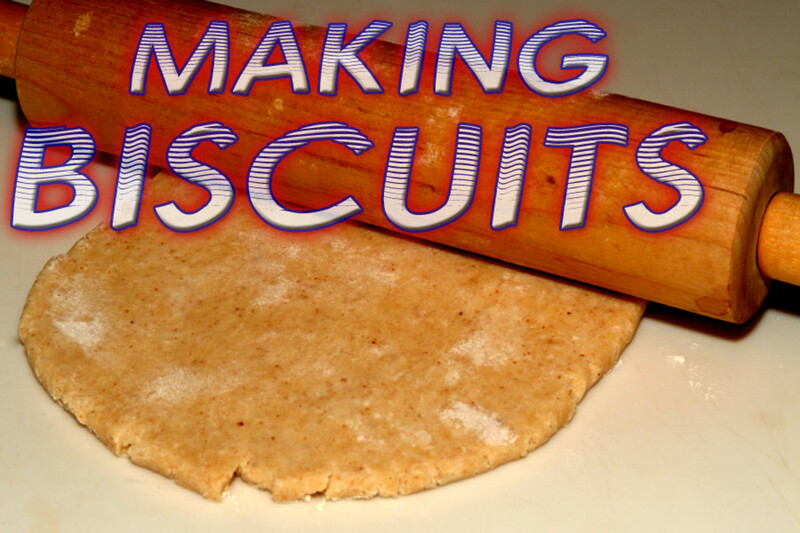 Hi Kristen--You can easily crush the cookies by putting them in a Ziplock bag and rolling a rolling pin or glass on top. This looks delicious enough to eat. I don't have a food processor. Is there a shortcut or easier way to make the cake without it? This is delicious! I love cookies and cream ice cream and cookie dough and milk shakes, etc. I would have to give this a go this spring. Yum! Such a great idea, thank you for sharing this. I look forward to trying it someday soon! Ice cream cake is one of my favorites, and your recipe that includes cookies makes it look so delicious. Your instructions are clear, and well supported by the videos, making it easy to make. I would love to try this one! Congrats on Hub of the Day! Delicious variations! Congrats on Hub of the Day! My #1 son would absolutely love this. Cookies and cream is his favorite! Congratulations on a very sweet Hub of the Day! I'm a lover of nice sweet cakes with lots of icing, so really loving this recipe, most likely will need to eat it all myself as my husband doesn't like sweet cake he using takes the icing off and gives it to me to eat, never mind all the more for me. Oh I shouldn't have read this right before dinner! It is so tempting! So. My mind is telling me. Look at all those calories. While, my taste buds are going crazy. Your cake turned out beautifully! 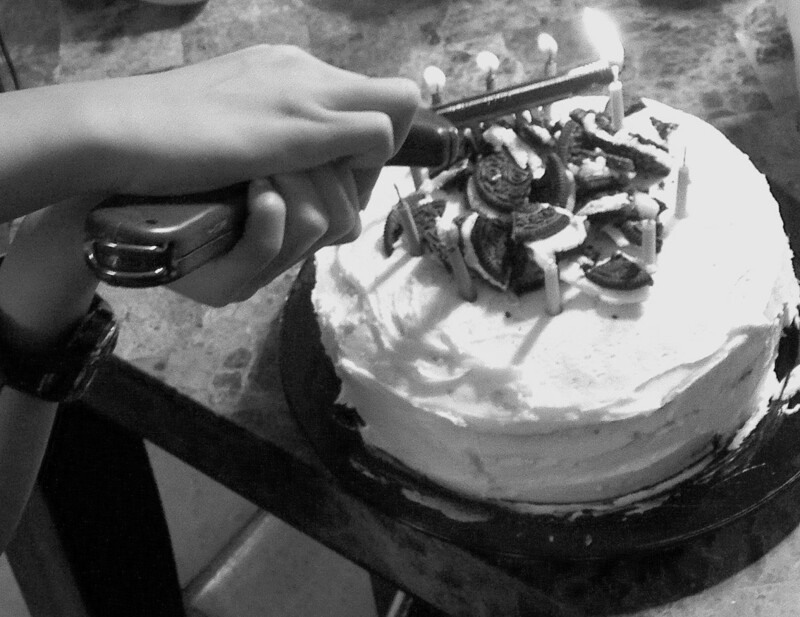 I love cookies 'n cream and am sure that I would enjoy this cake. Thanks for sharing the recipe. Yum! This sounds de-lish and so easy. I love doctoring up cake mixes -- mixes help get the cake in the oven so quickly.